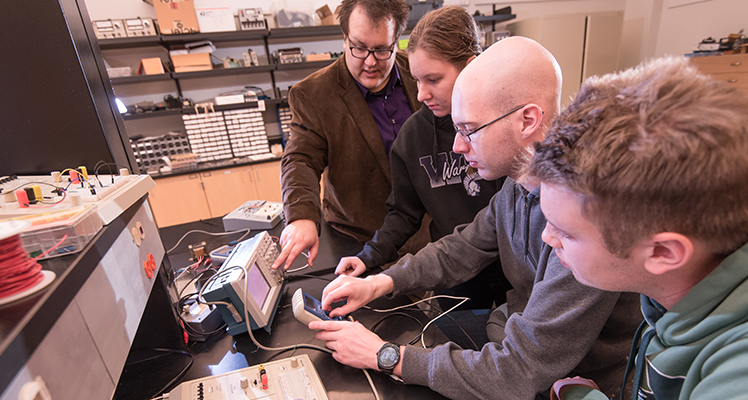 The Physics Department offers two options and two pathways to teacher certification in Physics. To view and download program schedules, click the links to the right. The department also offers two General Engineering program options to arm students with a broad and foundational experience in engineering. Physics Option I is the traditional physics major, designed principally for students who wish to pursue graduate study in physics and related fields. Physics Option II is for those who have interests in electronics. Many students in Option II take additional coursework in computer science. Physics Teaching certifies graduates to teach high school physics and physical science for grades 9-12. Physical Science Teaching certifies graduates to teach high school physics, chemistry, and physical science for grades 9-12. General Engineering Electronics Option is for students interested in fields such as electrical engineering. General Engineering Industrial Statistics Option is for students interested in industrial engineering.